Essence Lounge brings to you their new Saturday night theme called ICON SATURDAYS. 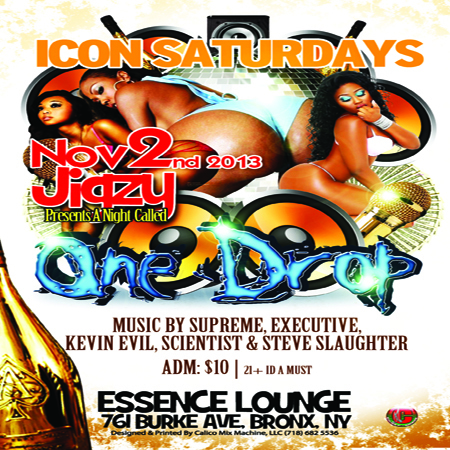 On Nov 2nd 2013, Jigzy presents a night called “ONE DROP” at the Essence Lounge – 761 Burke Ave, Bronx NY. Lots of DJ’s on set – Scientist, Steve Slaughter, DJ Executive & More. Refreshments on sale , BE THERE!